So in a vastly moving world managing expenses is a tough job. Everything these days has, it's price & mostly due to inflation a common man's expenditure has risen to a whole new level. Frankly speaking its a well known saying that once you take out a note, it goes away in a fluke. Speaking of 2016, We spend a lot on food, clothing, electricity bills, internet packs and potentially everything that you can recall. So keeping track of all the expenses is a must have thing for any person who spends his hard owned money for natural cases. Most of us often consider having a small dairy where we catalog daily expenses, but that thing is passe. So to tackle that, Times Internet went ahead with Smartspends app back in 2015, A Smart solution to go paperless and to keep track of your daily expenses. 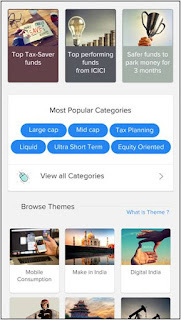 Just about a year later, Today they've released an updated version of the app with a lot of substantial changes and a rebranded name and an exciting addition of Mutual Fund transactions. Now the Smartspends 2.0 app is officially renamed as ETMoney; I was lucky enough to try this app in its beta phase and here's my final review of the ETMoney App(Smartspends 2.0 Review). ETMoney Review: Your Personal E-Passbook. So essentially you're greeted with the same layout as we've seen before with Smartspends app. When you open the app, You need to sign in with your existing mail id, specifically Google id. 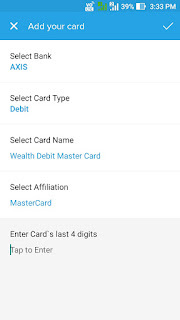 Then after giving the general app permissions you land into the main frame, which showcases five different options up front starting with Spends, Investments, Bill Calendar, Card Suggest and Offers. Each of these buttons has been assigned to perform various tasks. Let's understand each of these features deeply. Spends is a section which keeps track of all your One time and recurring cash spend amount. Essentially it's like a mini Passbook integrated within the app, The Only thing new is that here you're the clerk entering into it. Let's say you want to enter Rs.100 spent on recharge, Select the One Time cash spend and then enter your Amount, choose the date, enter whether it should be paid to merchant or a person, Then finally select the category(beauty and fitness, Bill, EMI, grocery, etc.) Additionally, you can even add some notes to keep track of it easily. There's also a statistics tab to keep track of your saving within Spends tab which displays weekly savings. It's a nice way to segregate all your daily expenditures and keep track of where exactly you invested and where did that 100 rupee note go. Investments in an exciting addition to the newly updated app, Partly because of the reason why we can say the Smartspends app got a new name - ETMoney. This name sort of compliments this section very well and we can see where Times Internet is going here with it. They say that the change of the Brand name is because they want to get Indian users a glimpse of the mobile-first world by solving their current financial needs. This section would primarily serve new investors helping them discover and manage their funds in an easier manner. 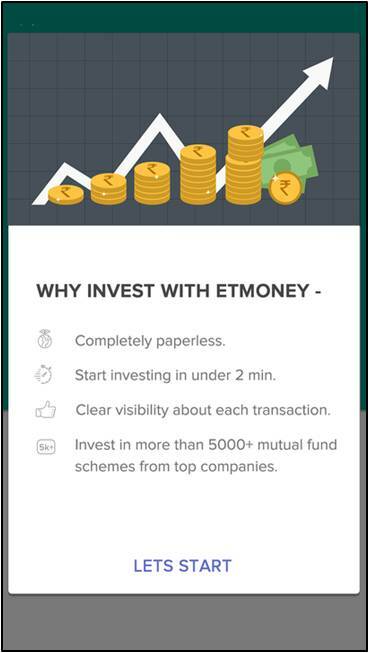 Let's understand investments catered in ETMoney App in three different ways. You can discover the best funds available in the market, which are categorized in easy to comprehend report cards and themes. The themes displayed within the app are showcased by analyzing 5000+ mutual funds which are in existence from previous 5-10 years. 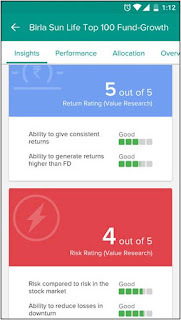 The report cards are designed specifically to showcase the right amount of returns and risk factors so that the investor has a clear idea of where his funds are heading. You can perform actual transactions where it takes merely two mins irrelevant to whether you belong to KYC(Know Your Customer) or not. Though according to our Indian regulations, You need to be KYC Verified to invest into mutual funds. This process just simplifies the hassle to carry your documents to get your account verified in any Bank; It's an entirely paperless process which gets a plus from my side. After you've settled up your account you can invest into any fund within 30secs; the process is similar to buying something from any e-commerce website and getting a delivery receipt sent to your mail id. The App provides you with top 10 mutual fund houses accompanying 5000+ funds to get started with investing. The final step is Post Transaction which showcases unique portfolio management and recommends several other things. 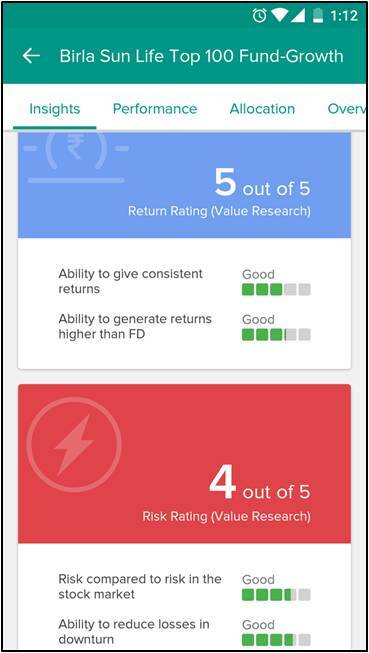 So here you get actionable insights upon your inserted portfolio in a constructive manner. The app also showcases the funds that you've not invested in and lets you keep track of those, just in case you have a chance of mind. 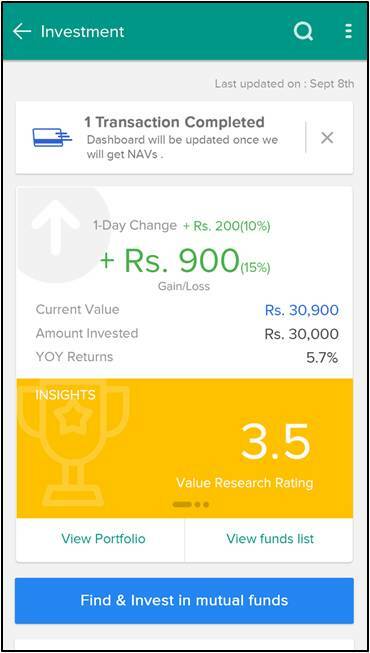 The ETMoney app also provides actionable insights to stock market Movements, User's spend pattern, and investment options. It is sort of like a bot working for you 24/7 helping you get the most out of the stock market. Another well-designed section which takes care of your bills by keeping them well organized. The app scans your emails and messages to find out the bills that have been paid or are due to be paid and aggregates them in proper labels within Bill Calendar section. For this action to happen, you must turn on in-app permissions on your Android device. Let's say you want to enter your gas bill, just hit the plus button on the lower right-hand side and select gas, then select your gas carrier. After that, you would be greeted with another overlay with few easy steps to fill in the exact information about the gas delivery. This, in fact, is very helpful, and it helps in keeping track of your bills in one place. Here you have the Due Date, Amount, and Bill ID, so it's good to be future proof and that to paperless. Alongside Gas, you have the option to keep track of numerous things ranging from Credit Card, Data Card, DTH, Electricity Bills, Insurance, Mobile, Water, etc. Also once you've entered a particular bill, you're notified four days before the due date. Well just as the name suggest, Here you're greeted with several offers & discounts depending upon your credit/debit cards. 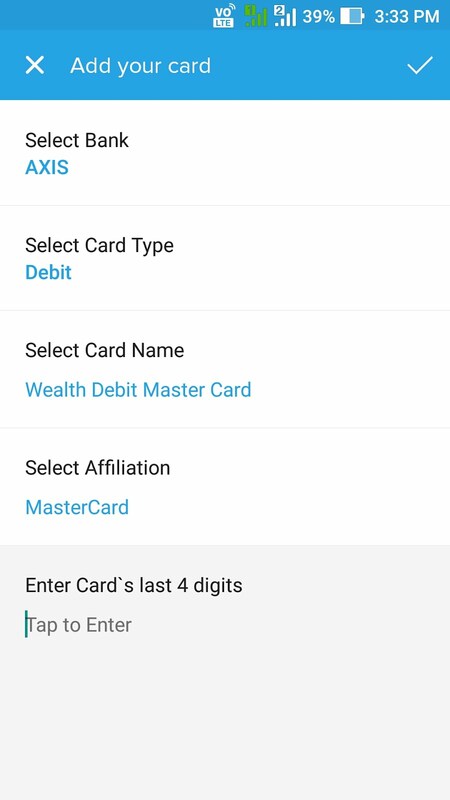 So to set this up, Just tap add card and then select your bank, select your card type, Card Name and finally Affiliation, Where then you're asked for the last four digits of your card, As it's easier for you to keep track of the offers given to that particular card. Once you're done setting up the card, Now there would be several offers and discounts which get showcased which can be availed offline and online via that same particular credit/debit card. The last section in the app which again is in similar resemblance to Cards Suggest feature, Though here instead of it being selective card offer you get notified of online shopping deals. Now the shopping deals could be anything ranging from E-commerce websites, Paytm, Telecom Operators Data Offers to virtually everything. Also if you couldn't find any attractive offers you can search for the one you're looking right within the app itself. ETMoney Review: Essentially Smartspends 2.0 app. Actually speaking I'm not much into Mutual funds or investments because I'm just a student finding his future path right now, who knows I might be interested into this in future. So to be honest, Apart from the Investments section of this app everything is interesting for me, and it is quite helpful I'm able to keep track of various other things. Since I was lucky enough to try this app in its beta phase, prior a week to the launch itself. The ETMoney app is currently available on Android, and you can download it from here. Also just for kicks, it ranks among the Top person finance apps and currently it has a user base of more than 8 lakh users. So all in all it helps in keeping track of your daily expenses and helps you to be ahead of the curve when it comes to savings. I liked the motto behind the app and with Investment features inbuilt it'll be a treat to several customers who are mostly glued to their TV sets when it comes to stock market. Do let me know what are your thoughts about the new ETMoney App and do you think, it might be helpful for a common man? Let us know in the comments section below.